Free resources to get you started. Help determine if an Accessory Dwelling Unit is right for you with this free download. Learn about Los Angeles' new affordable housing super density bonus for apartments and condominiums. 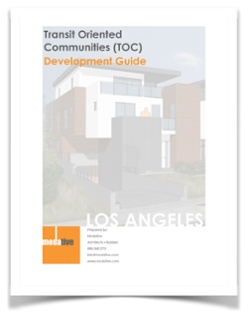 Download the free TOC Guide. 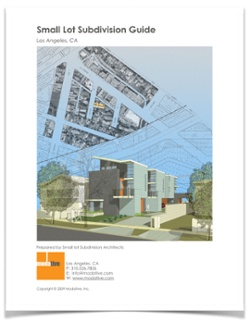 Information about Los Angeles' Small Lot Subdivision Ordinance. 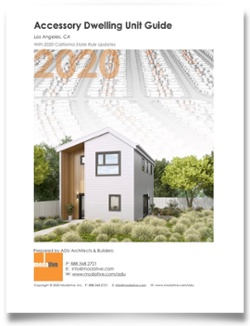 Want to build a Single Family Residence? 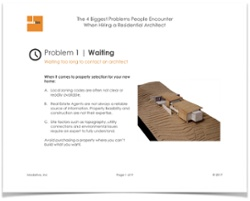 Download "The 4 Biggest Problems People Encounter When Hiring a Residential Architect." 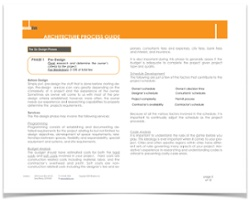 A free guide about how the architecture process works. Learn what happens after you hire an architect. 10 quick questions to help your architect better understand your project needs. A resume guide for architects and other creative professionals. How to Become a Licensed Architect?